Catch all four species of cutthroat trout native to Wyoming and you’ve got serious bragging rights. IT WAS 1996 when the late Ron Remmick, the Pinedale-area fisheries coordinator for Wyoming Game and Fish, came up with idea of the Cutt-Slam challenge. He wanted to educate anglers on the habitat requirements of cutthroat trout. True, cutthroat are not known as the most difficult of prey. Some local fishing guides refer to them as the “dumb blondes” of the trout world, but they’re such aggressive feeders only because of the harsh environment and short summers—our harsh environment and short summers—they’ve had to adapt to. IN COMPLETING THE challenge, a component of fishing that’s typically lauded most—size—doesn’t matter. 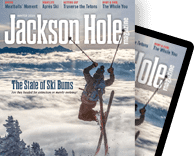 Spencer Morton, the founder of the Jackson Hole Fly Fishing School, says the Cutt-Slam is about much more than size. “Catching native cutthroat is special, because each subspecies of cutthroat originated from different drainages and has adapted to survive in each,” he says. Even though they all have their own drainages, the four subspecies are all “on the west.” This means they’re all located on the west side of Wyoming’s Continental Divide. Gipson estimates that a couple hundred anglers complete the Cutt-Slam annually. 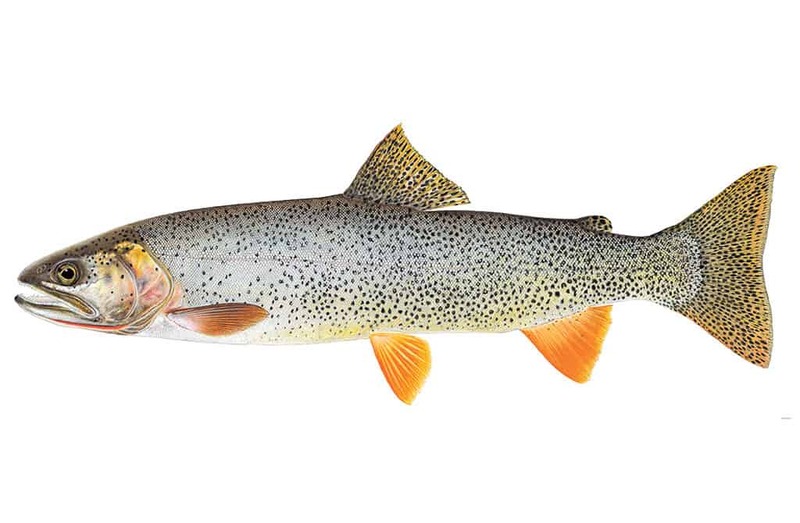 The cutthroat trout is the only trout native to Wyoming. In terms of population, trout numbers aren’t low, but catching each subspecies in its native habitat is tricky. There’s one spot in the state where you can catch three of the four subspecies, the Tri-Basin Divide, in the Wyoming Range south of Jackson Hole. (You’ll still have to go to the Yellowstone River drainage for the Yellowstone cutthroat). Find an interactive Cutt-Slam map at cuttslam.com/interactive-fishing-map.